Brook joined the firm’s probate litigation practice in February of 2015. She works with clients to develop estate plans and provide representation through the probate, administration, guardianship and conservatorship process. Brook comes to Stewart Melvin & Frost after serving two years as Deputy Director, Chief Clerk and Hearing Officer for the Gwinnett County Probate Court. 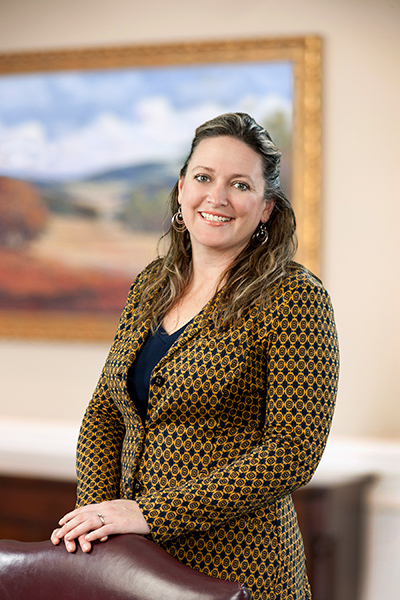 Earlier, she was an attorney with Andrew, Merritt, Reilly & Smith in Lawrenceville, Ga., where she managed all phases of litigation from client intake to appeals in the firm’s probate and corporate litigation practices. In 2013, 2017 and 2018, she was named a Super Lawyer Rising Star. A graduate of Brenau University in Gainesville, Brook earned her law degree from Georgia State University School of Law. She also is a graduate of the State Bar of Georgia’s Young Lawyers Division Leadership Academy. Active in the community, Brook is a member of the Brenau University Conflict Resolution and Legal Studies Advisory Board, is on the executive board for the Boys & Girls Clubs of Lanier, is on the executive board of the West Hall High School Touchdown Club and is an Associate Director for the Greater Hall Chamber of Commerce.